Since 2000, Betfair has been one of the leading online racebooks for players in both Europe and the United States. Originally restricted to European residents, Betfair is now open to residents of New Jersey in the United States for EZ Horse Betting. This racebook is multifaceted with a full menu of horse betting options at all major race tracks in Europe and the United States. Players can also take advantage of a highly rated sportsbook as well as an online casino that offers blackjack, craps, and all the popular slots games. Betfair was founded in 2000 and is based in the United Kingdom. The company itself is licensed in Malta, home to many online casinos. 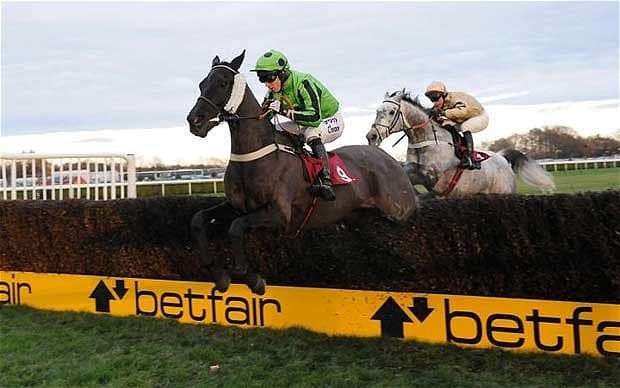 Betfair was originally conceived as a racebook to allow residents of the UK and other European countries a way to wager on horse racing online from the comfort of home. The company soon expanded to include a sportsbook and an online casino. Betfair specializes in racebook action and is one of the few companies to operate a full betting exchange. A betting exchange allows bettors to become their own bookie and take bets from other bettors. This type of betting has become very popular with race bettors in recent years. Our experience is that customer service inquires are handled quickly. Chat requests and phone communications were answered within about 30 seconds. Thanks to the legalization of online gambling in New Jersey, Betfair is now available to residents of that state. Those in New Jersey can also participate in the online casino action as well as sports betting. As of this time, other United States residents are not permitted to create an account with Betfair racebook. At Betfair, the personal information of account holders is given the highest priority. The racebook uses two-step authentication to guarantee that player’s accounts are not compromised and subjected to attacks by hackers and other individuals trying to steal personal data. In addition to entering a username and password, players must also enter a code which is provided through SMS or the Google Authenticator app for iOS and Android devices. Betfair is also ISO27001 certified which makes them compliant with the latest security standards in the industry. The company even provides a public PGP key which can be used for those who wish to send encrypted email communications. Betfair provides players with many options for deposits and withdrawals. All are accomplished through the use of a main wallet. Main payment methods include MasterCard, Visa, bank transfer, and credit union transfer Credit card deposits are processed instantly and require a minimum $10 deposit. Bank transfers can take up to 5 business days to process and must be a minimum of just $5. Neteller and Skrill are also available as deposit options for this racebook. Account holders are advised to check the racebook’s website as the regulations for these deposits are subject to change. When the time comes to withdraw your winnings from Betfair, you’ll need to have the money transferred to a bank account. The process requires a $20 minimum withdrawal and can take from 1-5 working days. Most players report that they have had no issues with withdrawals and that their requests are processed in a timely fashion. At the present time, Betfair does not accept Bitcoin deposits. This is something the fans of EZ Horse Betting would appreciate in the neat future. New players at Betfair can qualify for deposit bonuses when they make a deposit. This can be in the form of a matching bonus or a bonus that is set at a certain amount. These promotions change frequently and it is best to check the website for the latest information. On occasion, the racebook also offers free bets to new players. Because of its association with TVG horse racing network in the United States, Betfair has cultivated a good reputation. TVG also offers special deals to its viewers on occasion, especially around the time of big racing events. Other advantages of Betfair include access to a betting exchange, a full sportsbook, and an online casino. With one account, players can participate in all three types of online gambling. The chief disadvantage of Betfair is that it is not open to US players at the present time with the exception of New Jersey. Also, players in France are not allowed to participate. Another disadvantage is that the betting exchange concept offered by Betfair can be somewhat confusing and difficult to understand. There are only a few tutorials on the website which do a mild job of explaining to players how to use the exchange. It is recommended that players take their time mastering the exchange before diving into it too deeply. 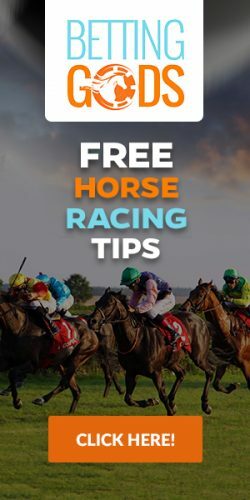 We strongly recommend Betfair as an option for those individuals in the state of New Jersey who wish to wager on horse racing from their computer, smartphone, or tablet. We also encourage experienced bettors in the UK who are familiar with betting exchanges to give this racebook a try. As a result, we award Betfair racebook 4 out of 5 stars on our rating scale.